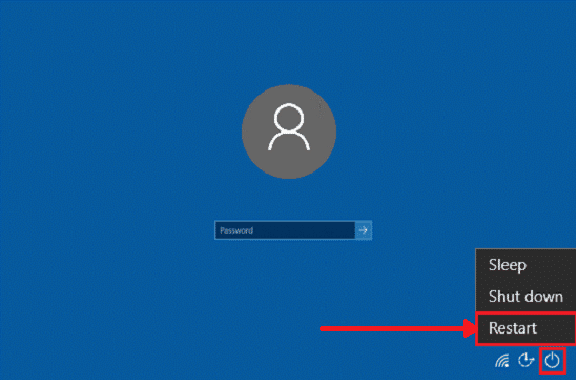 Ultimate Guide: Windows 10 Update Stuck? Heres How to Fix It. » Windows Update Stuck? Here Is What You Need To Do! Windows Update Stuck? Here Is What You Need To Do! One of the common problems Windows users come across is an update that gets stuck in the middle of its progress. Updates are important to maintain the latest system features and install new security fixes, but they also can be a headache. 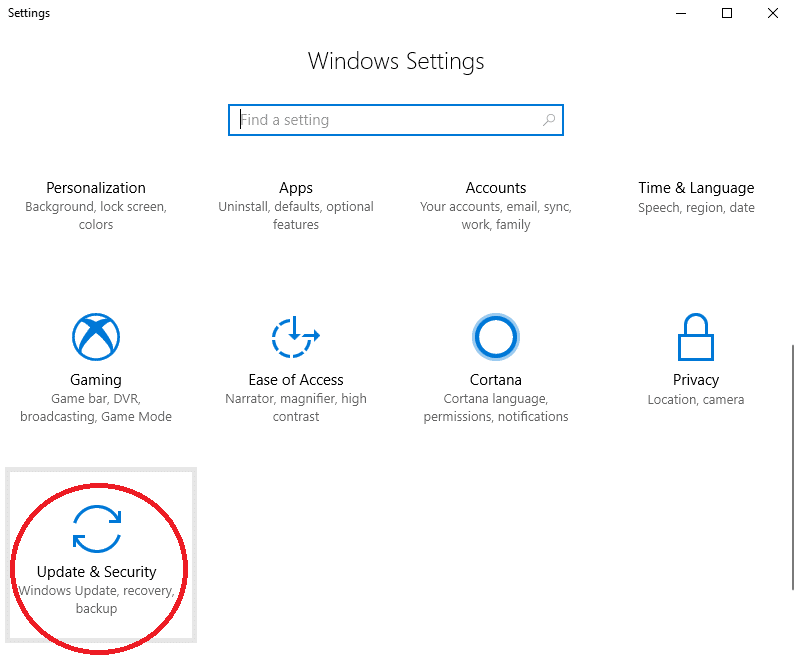 Before Windows 10, users could choose if they wanted to automatically install updates or wait. Several forums sprung up around the Internet to discuss the latest updates and warn others about problem ones. With the Home version of Windows 10, that all changed. Updates are almost impossible to stop and attempting to do so can cause you to sacrifice computer usability. That doesn’t mean the Windows 10 updates are any better. 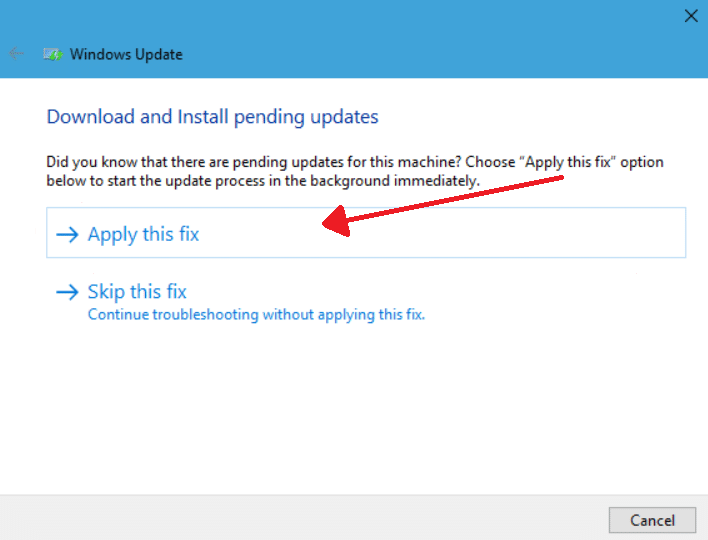 Hopefully, you can look at this simple guide to quickly fix a Windows 10 update issue. Why Does Windows Update Get Stuck? The problem may occur because of a software conflict with the update. There may be a pre-existing issue in the update that was not identified until the update began installing. The issue may lie within the Windows Update installer itself. The update may not truly be stuck but just taking a long time to complete because of its size. Your first check is to watch the screen. There should be no screen activity for about 4 hours or even more. If you go away for four hours and come back, the screen progress should not have changed- this includes what the screen says as well as update progress bars. Sometimes the updates may freeze even before three hours, but it is safer to wait. Once you have confirmed that the screen has not changed for three hours or more, you need to look at the light on the hard drive that indicates the hard drive is working. If the light does not show any activity for about five minutes after confirming the screen has not changed, it indicates the update is stuck. If the light is on or has short flashes, the update is not stuck. Once you have verified that the update is truly stuck, you may proceed with the methods listed below to resolve the issue. It clears the update download cache by renaming the folder, C:\Windows\SoftwareDistribution to C:\Windows\SoftwareDistribution.old. It helps to restart the update download. 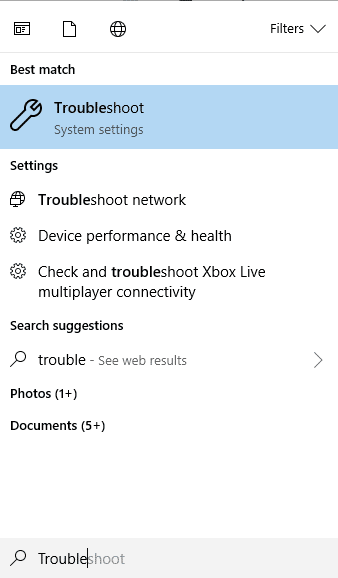 Just like previous Windows versions, the Troubleshoot feature is found on Windows 10. To find it, enter ‘Troubleshoot’ in the search box, and choose the option that best matches (which should be the first one). 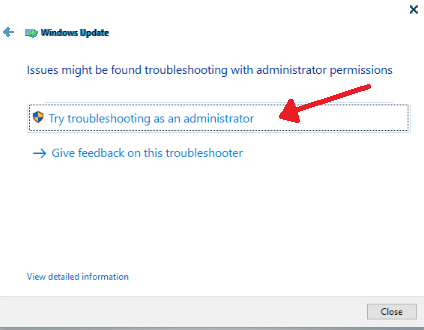 In most cases, the Troubleshooter will tell you there are pending updates to install. 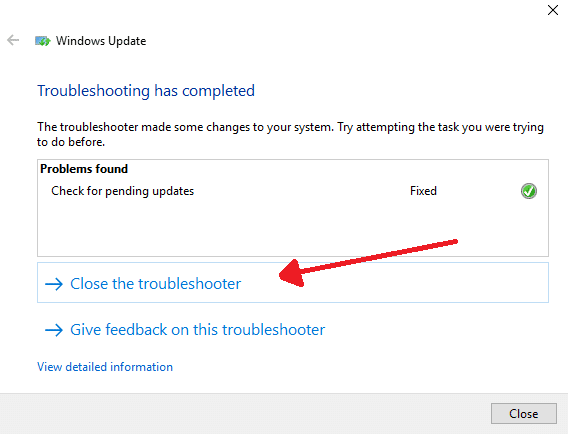 Click ‘Apply this fix’ and allow the Troubleshooter to install them. In other cases, you will need to follow the onscreen instructions to repair the update. 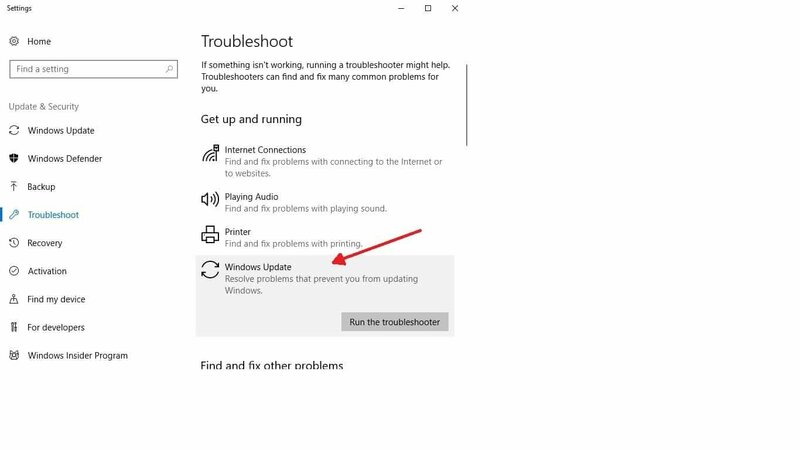 In the majority of cases, the Troubleshooter feature identifies the update causing the issues and fixes it by removing the faulty update. Even if the Troubleshooter does not identify the problem, it is possible for it to correct the issue simply by stopping the update and clearing the cache. 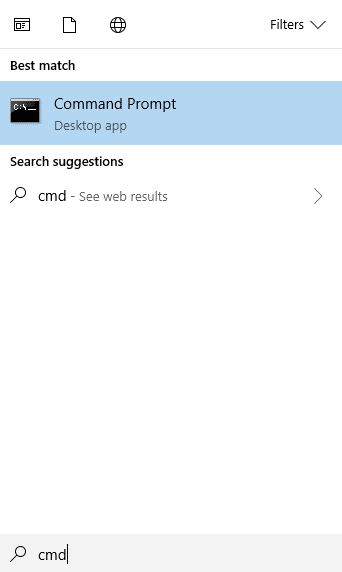 Enter ‘cmd’ into the Search box. 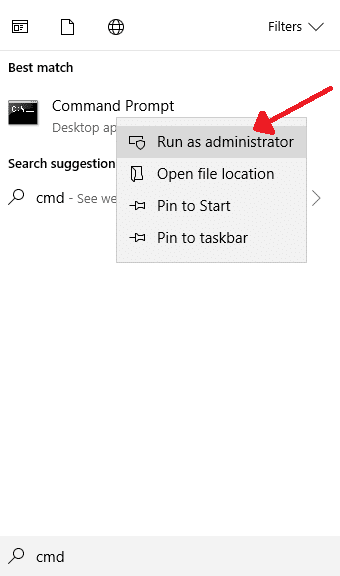 Right-click the Command Prompt option and select ‘Run as Administrator’. After the Command Prompt window opens, first type in the following without quotes to stop the update: ‘net stop wuauserv’. Then, type ‘net stop bits’ (again without quotes) and hit enter again. To clean these files, –go to the folder with the following pathway— C:\Windows\SoftwareDistribution, open it, and delete all the files. If the computer prevents you from deleting the files, go to the next step. 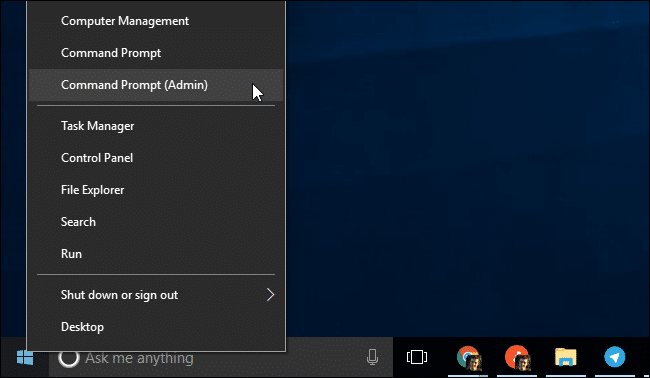 Restart the system, and follow steps 1 and 2 to reopen the Command Prompt: type ‘cmd’ into the search bar and right-click to run as an administrator. This time, type in these commands without the quotes: ‘net start wuauserv’, then [Enter], ‘net start bits’, [Enter]. Sometimes the update is hanging on one specific part of the installation. Using this method to fix the problem might allow you to continue installing the updates successfully. Press the [Ctrl] + [Alt] + [Del] keys together. If the login screen appears, log into the system as you usually do and allow the updates to install correctly this time. If you are automatically taken to an Advanced Boot Options screen, choose ‘Startup Settings’. Click ‘Restart’ and press 4 to restart the computer in Safe Mode. 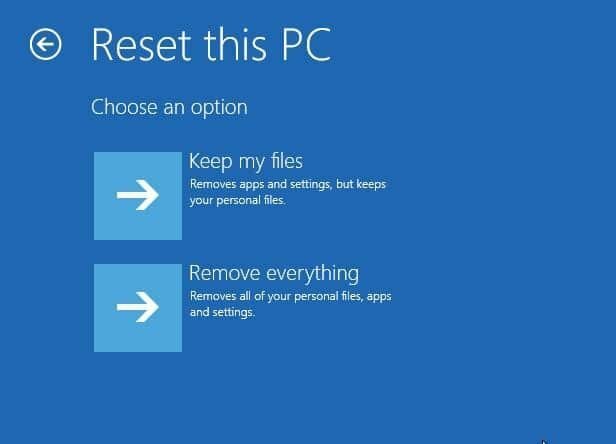 Follow the directions below about rebooting your computer in Safe Mode. You can use the power button to turn off and then restart the system. This will help to start the system in Normal Mode so that you can install the updates easily. This hard reboot is sometimes necessary to deal with a frozen update issue, but it should never be your first option. Press down on your power button. You may have to hold the power button down for up to thirty seconds to turn off the computer. Unplug the computer from the wall after the computer is completely shut down. If you are using a laptop, you must also remove its battery once the computer has shut down and replace it before you restart it. Once you have plugged everything back in, restart the computer by pressing the power button. This should bring you back to the login screen. Click on the power icon on the bottom right of the screen and choose the ‘Update and restart’ option. 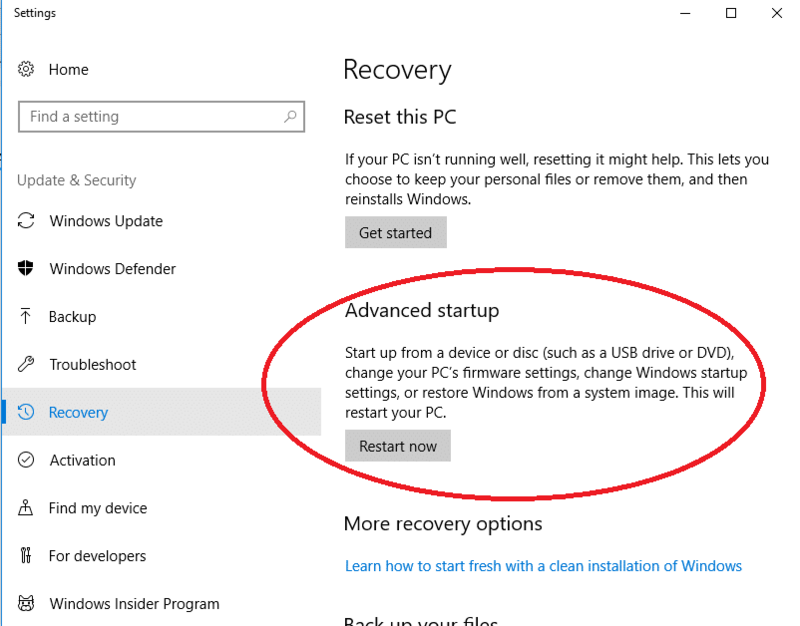 If restarting the computer doesn’t automatically bring you to your login page, and instead, you see the ‘Startup Settings’ page or ‘Advanced boot options,’ choose to start the computer in Safe Mode and read about using this option below. When the above steps fail, use the automatic repair feature. In Windows 10 this is called ‘Start-up Repair’. Type ‘settings’ into the search bar, and choose ‘Settings’. In the Settings window click on the ‘Update & Security’ option. Next, choose the ‘Recovery’ option. Under ‘Advanced startup,’ click ‘Restart Now’. Once Windows restarts it will display the, ‘Choose an Option’ menu. 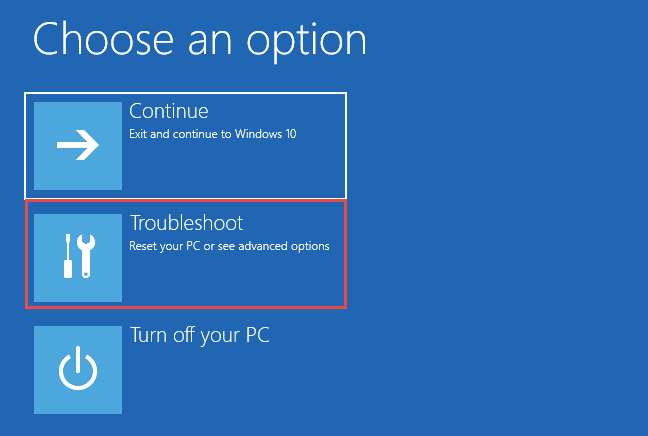 Select ‘Advanced options’ under ‘Troubleshoot’ and then choose ‘System Repair’. If this method does not work, continue with another method. This step is explained in the manual deletion of the update cache step. Safe Mode only activates a few important services and drivers that you need to run the system. From the login screen, you can get into safe mode by holding down the [shift] key, while you click on restart. Now choose ‘Troubleshoot’ and then ‘advanced options’. Click on ‘Start-up settings’ and ‘restart’. You will see a list of options. Choose 4 to ‘Enable Safe Mode’. If the issue you have is due to a conflict with another service or program, rebooting into Safe Mode will resolve it. 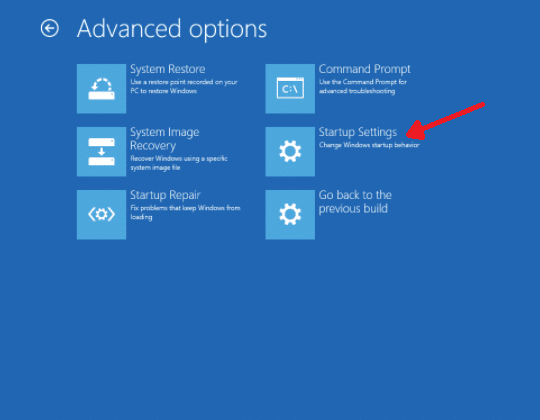 If your computer did not install the updates when it started Safe Mode, continue to the System Restore steps. You can manually delete the Update’s cache to deal with the issue. To make this step effective, you should boot the system in Safe Mode before starting the process. There are several ways to boot the computer in Safe Mode. 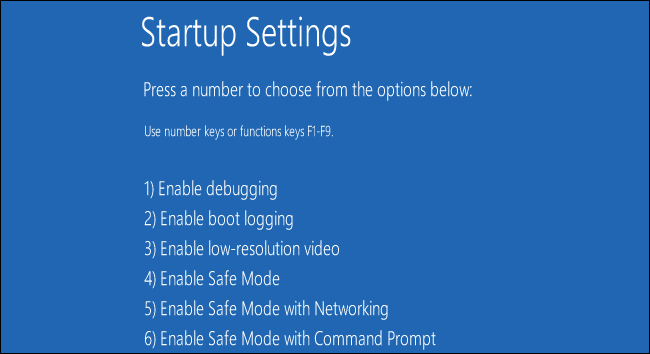 Boot windows into safe mode by holding down the [shift] key, while you click on restart. Now choose ‘Troubleshoot’ and then ‘advanced options’. Click on ‘Start-up settings’ and ‘restart’. From the list of options, choose 5 to ‘Enable Safe Mode with Networking’. Right-click on the Start Menu. You can also press [X] and the [Windows] key. Select the ‘Command Prompt (Admin)’. Now enter the command ‘net stop wuauserv’ into the command prompt and press [Enter]. This stops the update service. Open File Explorer and go to C:\Windows\SoftwareDistribution. Erase all files present in this folder. The update will restore the deleted files when it runs again. Restart the update service by entering ‘net start wuauserv’ and press [Enter]. When the update service is restarted, close the Command Prompt page. 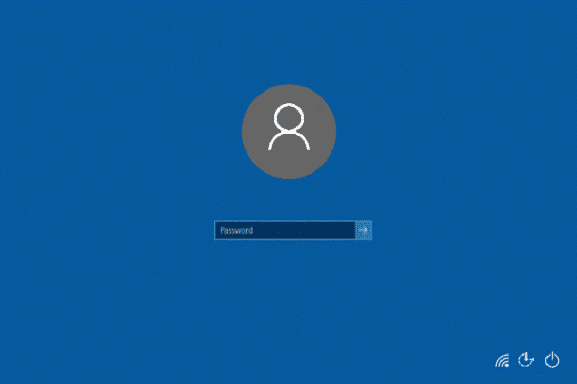 Restart Windows in Normal Mode. Try rerunning the update to check if you have fixed the problem. Get into safe mode by holding down the [shift] key while you click on restart. Now choose ‘Troubleshoot,’ ‘advanced options,’ ‘Start-up settings,’ and ‘restart’. You will see a list of options. Choose 4 to ‘Enable Safe Mode’. 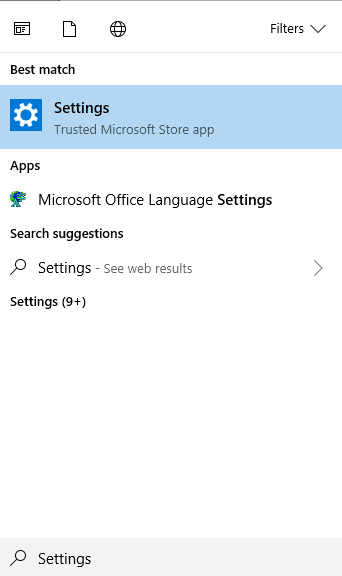 Type ‘Settings’ in the search bar after the computer finishes booting. 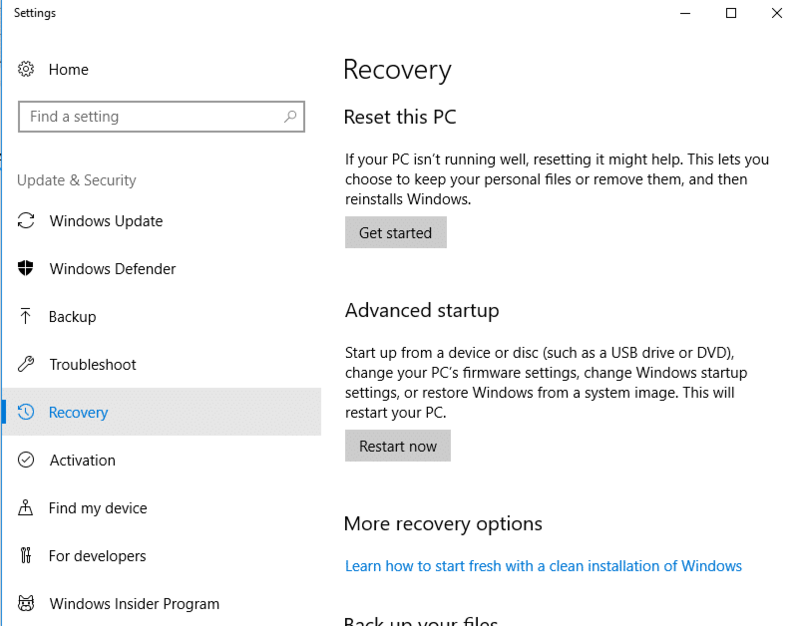 Select ‘Recovery’ from the menu on the left side of the window to open the ‘Recovery’ window. After choosing ‘Get Started,’ you will be given a choice to ‘Keep my files’ or ‘Remove everything’. Choose ‘Keep my files’ to prevent everything, including your documents, from being erased. After making your selection, follow the instructions given on-screen. They will help to reset Windows 10. You can see the list of applications that the system will erase on reset. You will have to confirm your choices to proceed. For this method, you completely erase the Windows operating system installed on the system’s hard drive. Then, you reinstall Windows. This is a last resort measure if the above methods fail to work. This can effectively deal with the frozen update issue, but it may take some time to reinstall the Operating System. Since software conflicts are the main reason behind stuck updates, using a clean install and running the updates again will give you a smoothly working system by erasing any apps you have installed. However, reinstalling Windows means you will lose any apps that are not a standard part of Windows, including Microsoft Office, third-party antivirus software, manufacturer’s apps, drivers, desktop apps that were pre-installed on your device, and support apps. You might lose digital licenses and app content, as well as any apps for which you have lost product keys and licensing information. If you have Office 365, you need to read the information from Microsoft about how to reinstall that before you begin. Insert a USB and type ‘Settings’ into the Search bar and click on it to begin. In the Settings menu, choose ‘Update & Security’ then click ‘Backup’. Clicking ‘Add a drive’ will cause Windows to search for all connected drives automatically. Choose the USB you inserted. 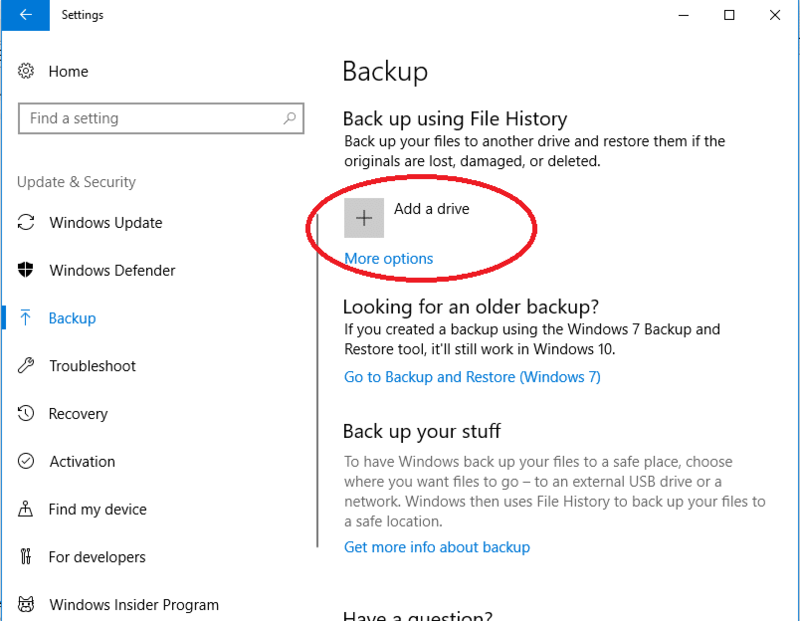 Windows should now automatically back up the system (and will continue to do so every hour). Wait until this is finished. 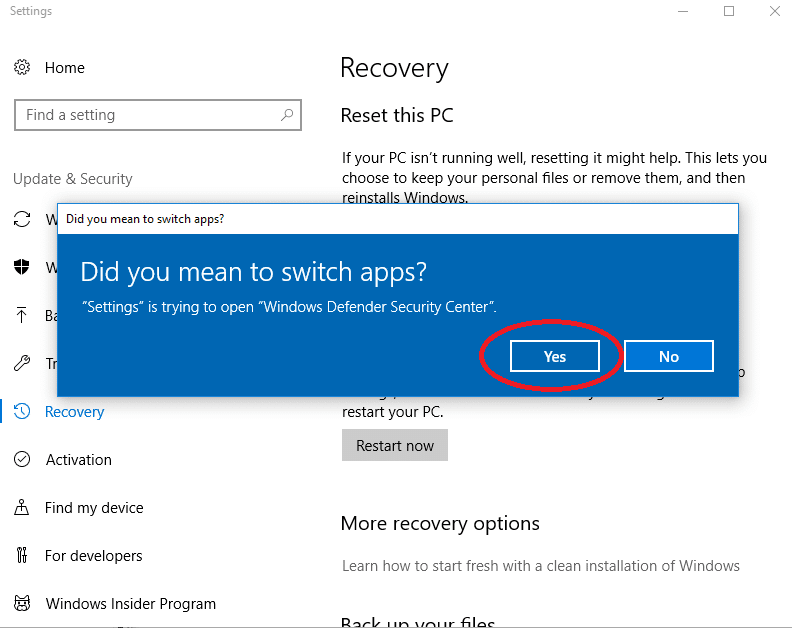 A window will pop-up asking if you want to switch apps. Choose ‘Yes’. 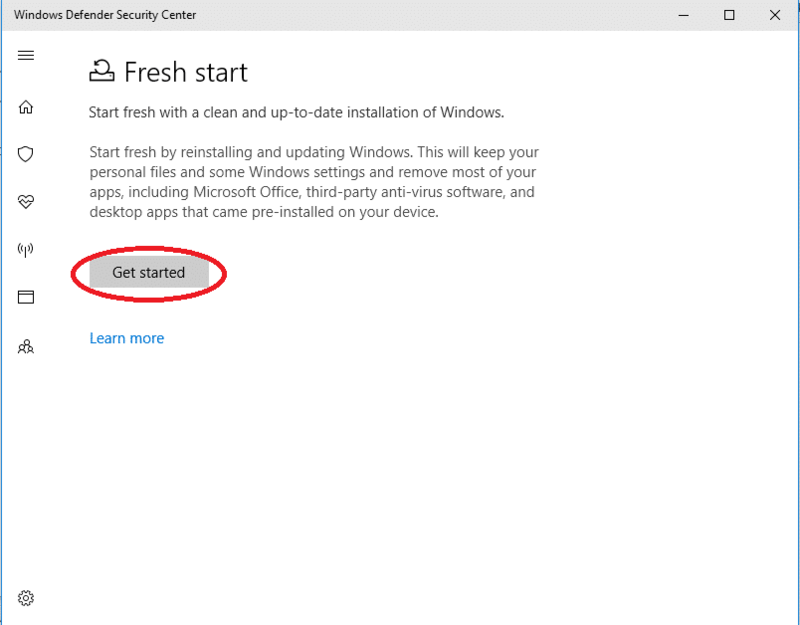 You will be taken to a Fresh Start Menu in Windows Defender Security Center. Click ‘Get Started’. 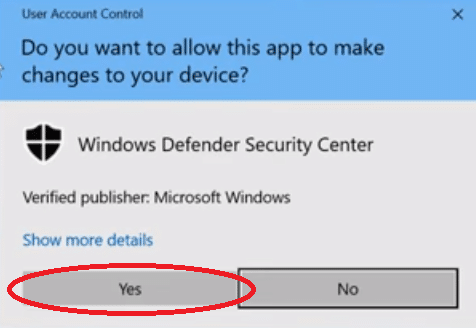 Now, click ‘Yes’ to confirm and follow the on-screen prompts. At one point, you will be given a list of apps that you will need to reinstall. It is best if you write these down because they will not be on your computer once the reinstall is complete. 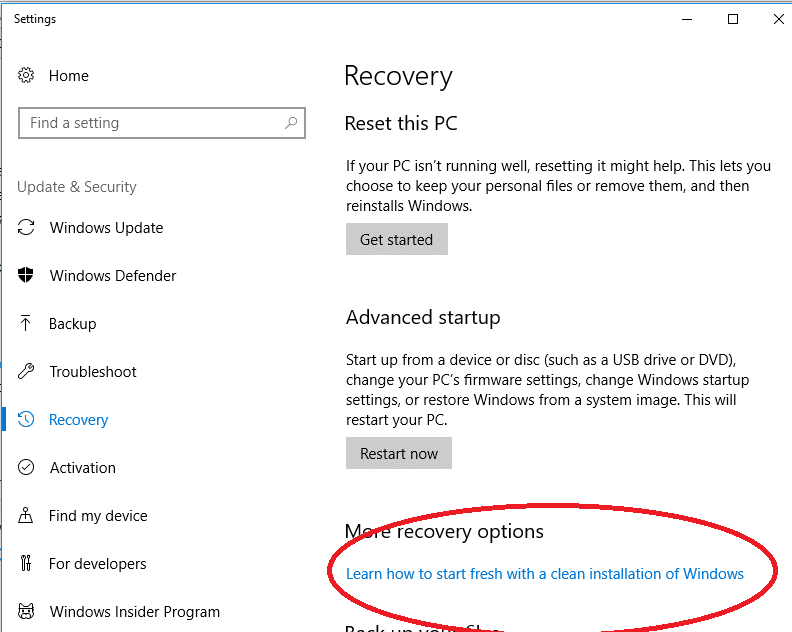 The reinstallation process can take up to 20 minutes to complete, but it will install the most up-to-date version of Windows 10 on your computer. We hope your stuck Windows Update issue was resolved using one of the above methods. 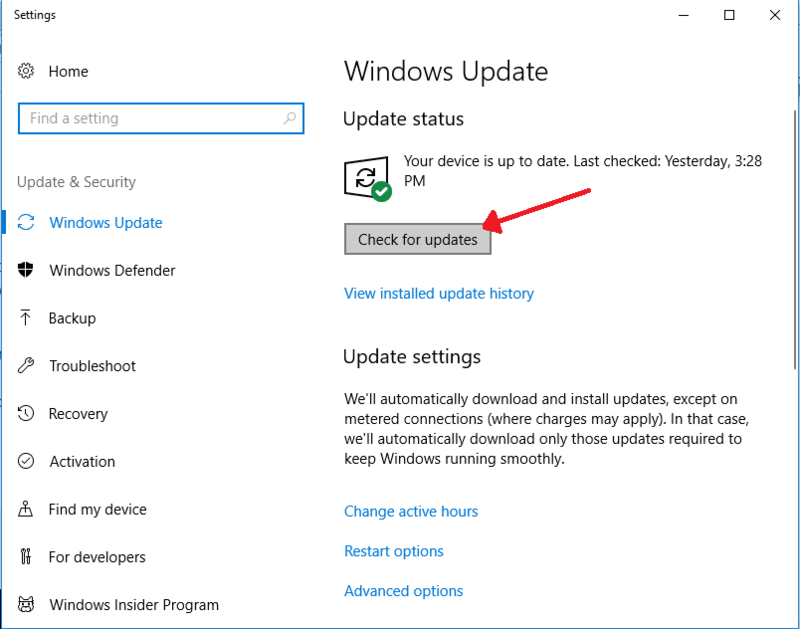 Since Windows Updates are done regularly, and they frequently cause problems, knowing these methods will help to keep your system operating smoothly. Previous Post Windows 10 Start Menu Not Working? How to Fix This Problem! Next Post How Can I Resolve an ‘MSVCP120.dll Is Missing’ Issue?